Visit the official website of UGC NET and click on the link. Fill in your details that include your application form number and password. Click on the login button to access and download your e-Admit card. 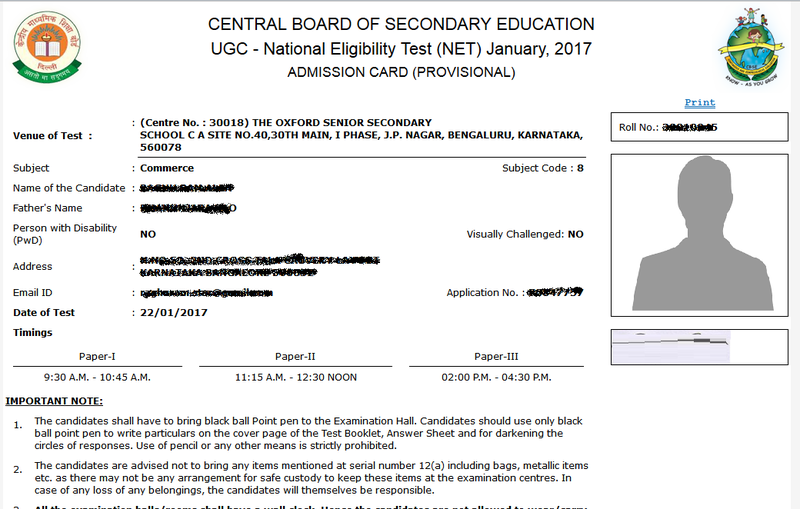 Print and save your UGC NET admit card. The National Testing Agency will issue UGC NET Admit Card (June session) from May 15, 2019. Availability: Candidates who have filled the application form successfully can download the UGC NET 2019 admit card on the official website from 15th May 2019. Importance: Admit card is an important document issued by UGC for the candidates. Without the admit card, an applicant will not be allowed to enter the examination hall. Mode: The admit card for UGC NET 2019 will be issued online only. The UGC NET 2019 admit card will not be sent via email or post. Displayed Details: Information about the candidate will be printed on the UGC NET 2019 admit card. Discrepancies in information: Candidates must ensure that the information provided on the admit card is correct. Any discrepancies in the details furnished in the admit card has to be reported to the concerned authorities immediately. Print: It is advised that the applicant must take a copy of the UGC NET 2019 admit card and must preserve it carefully and later present it at the time of the exam. Essentials: The applicant must bring a photo ID proof along with the UGC NET admit card to the exam center. On visiting the link, the above page appears. Step 3: Candidates should enter their Application Number and Password. Venue of Test: Centre number as well as the full address of the College or University allotted to the candidate. Address: Candidate’s address filled during the time of application is mentioned. Email ID: Candidate’s registered email id is mentioned. 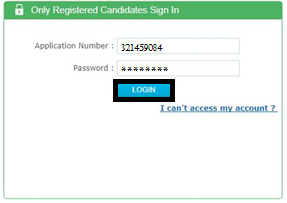 Application Number: Candidate’s application number is mentioned which is also required to log in to the official website. Anyone of the authorized photo IDs (must be original, valid and nonexpired) – PAN card/ Driving License/ Voter ID/ Passport/ Aadhaar Card (With photograph)/ Aadhaar Enrolment No/ Ration Card. The Admit Card is issued provisionally to the candidates, subject to their satisfying the eligibility conditions. The candidate has to download the Admit Card from the NTA’s website from 15th May 2019 onwards and appear for the Examination at the given Centre on Date and Shift (Timing) as indicated in their Admit Card. No candidate will be allowed to appear at the examination centre, on Date and Timings other than that allotted to them in their Admit card. In case candidates are unable to download Admit Cards from the website, the candidate should approach the Help Line between 10:00 A.M. to 5:00 P.M. from 19.11.2018 to 25.11.2018. The candidates are advised to read the instructions on the Admit Card carefully and follow them during the conduct of the examination. In case of any discrepancy in the particulars of the candidate or his/her photograph and signatures shown in the Admit Card and Confirmation Page, the candidate may immediately approach the Help Line between 10:00 A.M. to 5:00 P.M. between 19.11.2018 to 25.11.2018. What do I do If there are any corrections on my admit card? Information about the candidate will be printed on the UGC NET admit card. Candidates must ensure that this info is correct and any issues with the admit card should be reported to the concerned authority immediately. Do I need to bring any other documents along with my admit card? Candidates must bring their photo identity proof along with the printout of the online admit card to the examination hall. Will the admit card be sent by post? Candidates are required to visit the official website of CBSE UGC 2017 to download their admission card. The admit cards will not be sent to the candidates by post.